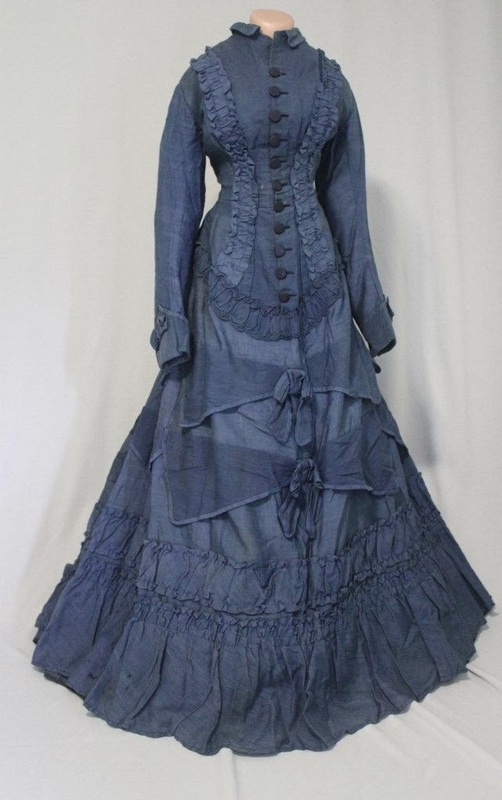 Here we are offering a charming, original, one piece dress dating from the mid to late 1870’s. 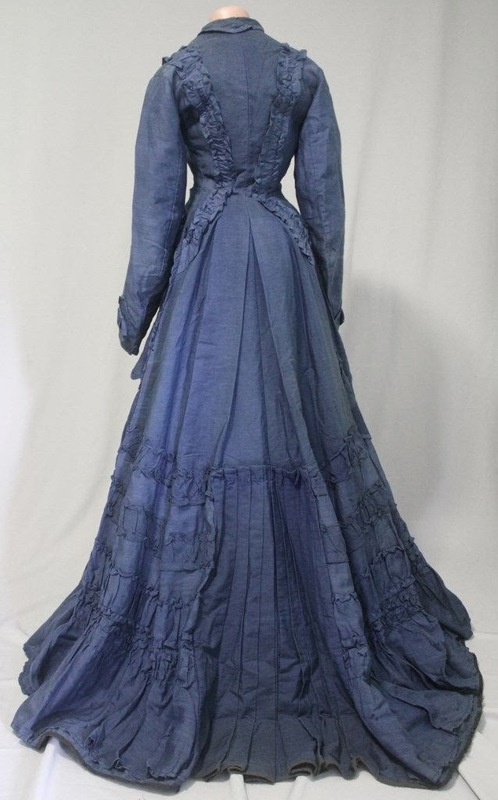 The dress is constructed from a medium weight, blue, wool/cotton fabric. 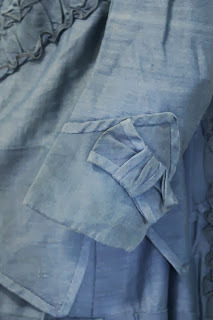 The majority of the construction is done by hand but the bodice and some of the trim also show some machine stitching. Though simple in design, the dress is nicely decorated with ruching of self fabric and 11 dark blue silk covered buttons. The bodice and hem are lined with brown cotton which shows wear but is still intact. The wool/cotton fabric also shows wear but is basically in very good condition overall. There is some light mothing scattered about but these are small areas, not large holes. There is also some wear and fading in the underarms but again, nothing major. 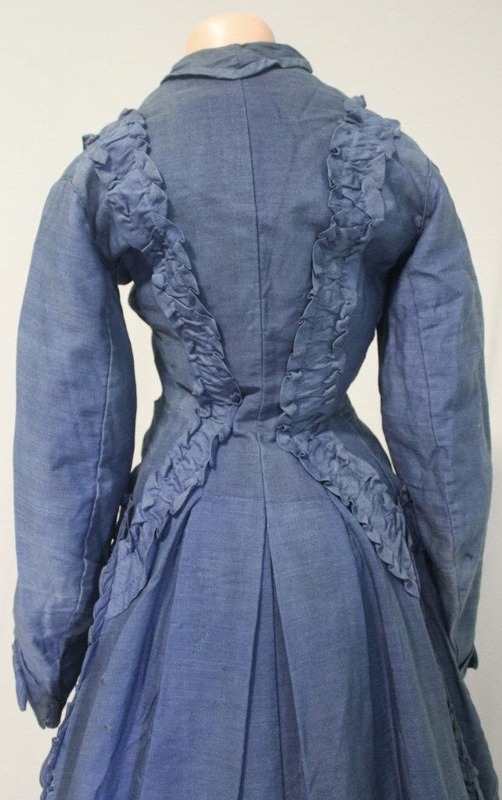 This piece would look very nice displayed with a small bustle (which we could not find while photographing). 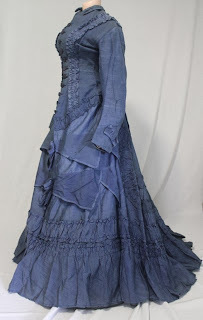 We are always happy to answer questions so please ask them before bidding. We do not sell clothing of this age as wearable and strongly discourage any attempt to do so. Therefore, the following measurements taken in inches are provided for references purposes only. 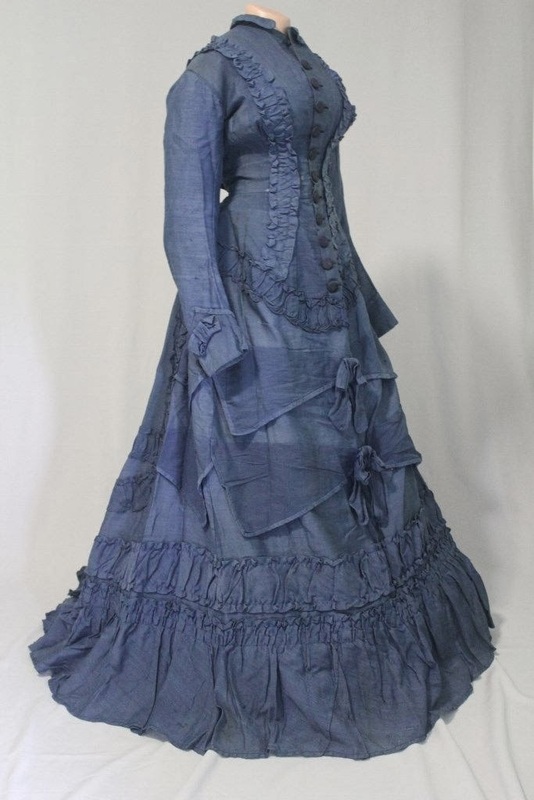 Bust: 30, Waist 22, Front Length 55, Back Length 58, Hem Circumference 120. I wish they would have displayed it properly.